So the 'beast from the east' has arrived. How are you coping European friends (I hear there's even snow in Rome!)? Keeping toasty? In Sweden it's been snowing all night and all day and it's minus 9 (here in the south!). Crazy! Still, I do love a proper winter, how about you? All this snow has meant I've been completely distracted (my Swedish friends on the other hand, are completely unfazed by it all - proof that you can take a girl out of London, but you can't take London out of the girl!') and left hardly anytime for today's post (squeezed in between an afternoon coffee and collecting the girls with their toboggans in 30 minutes time!). 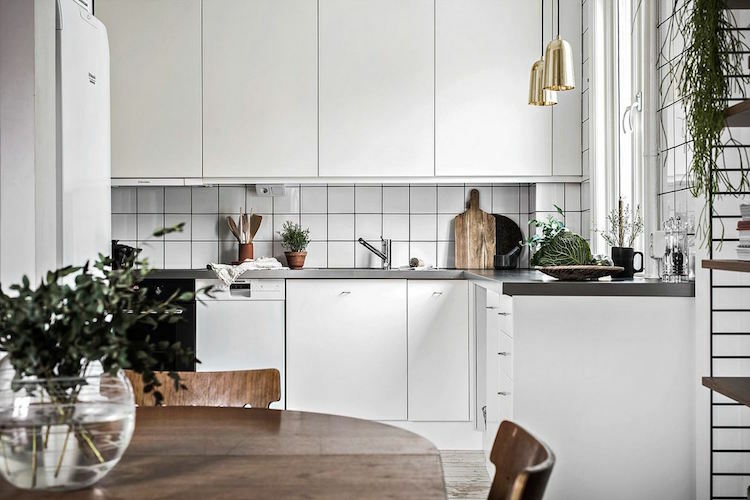 But this home tour is a goody and totally worth stopping by for nevertheless, especially if you love a calm, white, minimalist home with warm caramel accents! It's been styled for sale viewings, hence the more minimalist look and feel, but I think there's plenty to feel inspired by all the same. Enjoy! Pick up similar abstract artwork here. 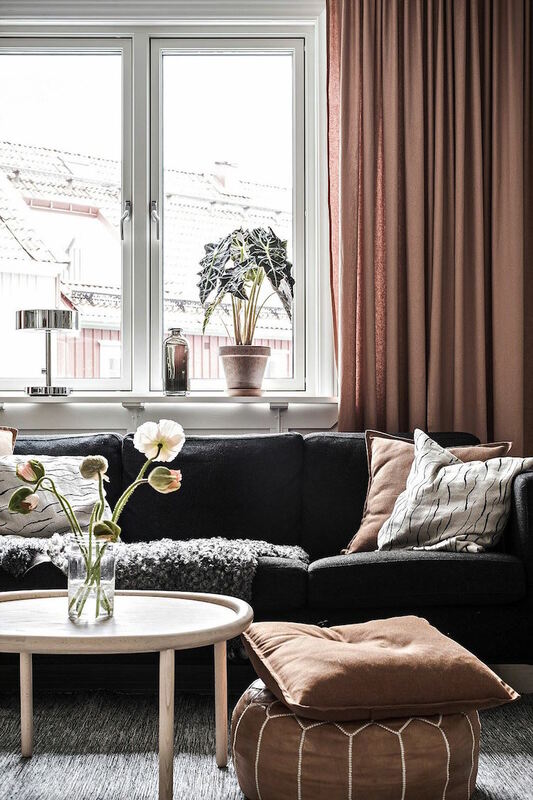 I'm so curious about the armchairs - if you have any idea where they're from it would be wonderful if you can let me know in the comment section below and I'll update the post. 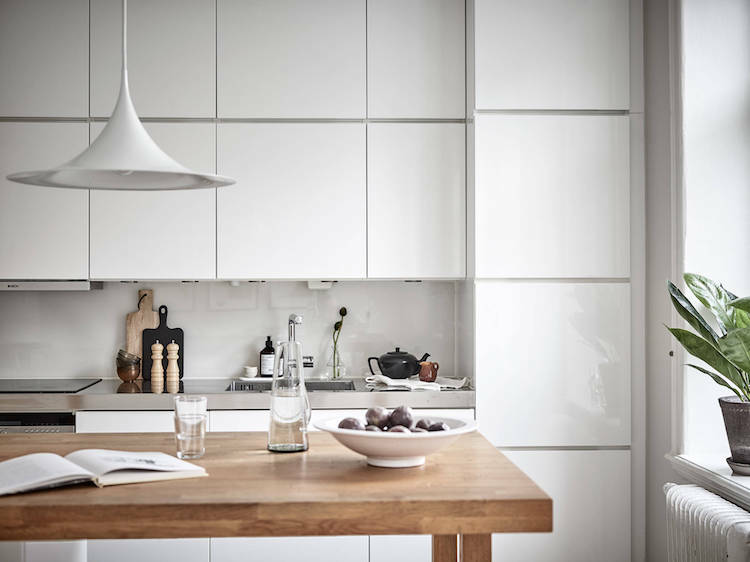 The Gubi semi-pendant is a favourite of mine, it comes in a load of colours but the white option keeps it classic. If we think it's cold in Europe right now, we'd better be thankful we weren't around for Europe's mini ice age between 1500 and 1800! There'd have been no choca mocha lotta lattes to warm our cockles. But there was an invention in the 18th century which we'd have been grateful for - the Swedish 'kakelugn' (seen above). Considered a heat efficient way to warm a home at the time - many masonry ovens are not in working order today but look super pretty all the same! 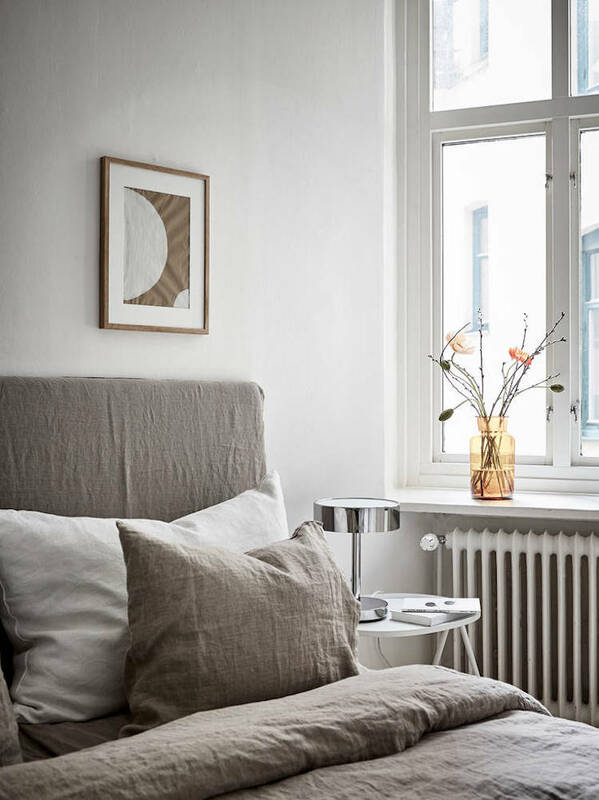 These warm brown linen duvet cover and pillow cases are similar. 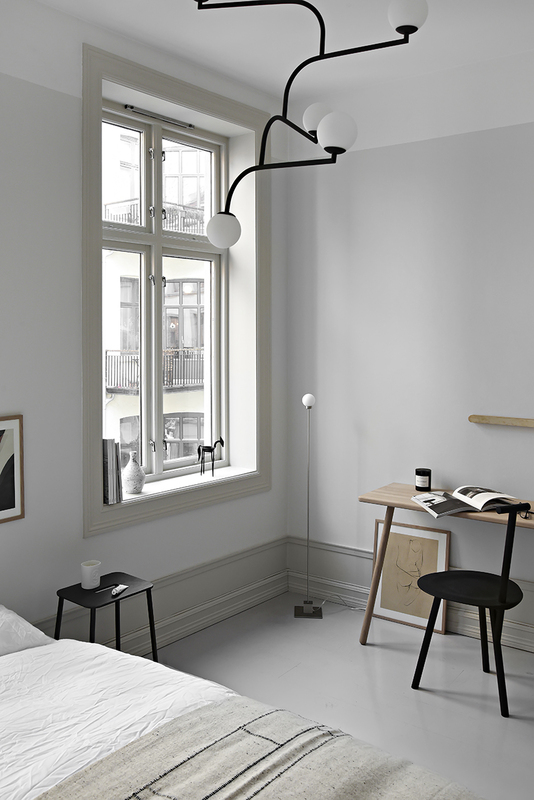 And I'm a big fan of the Cord lamp by Design House Stockholm! Oh so lovely. 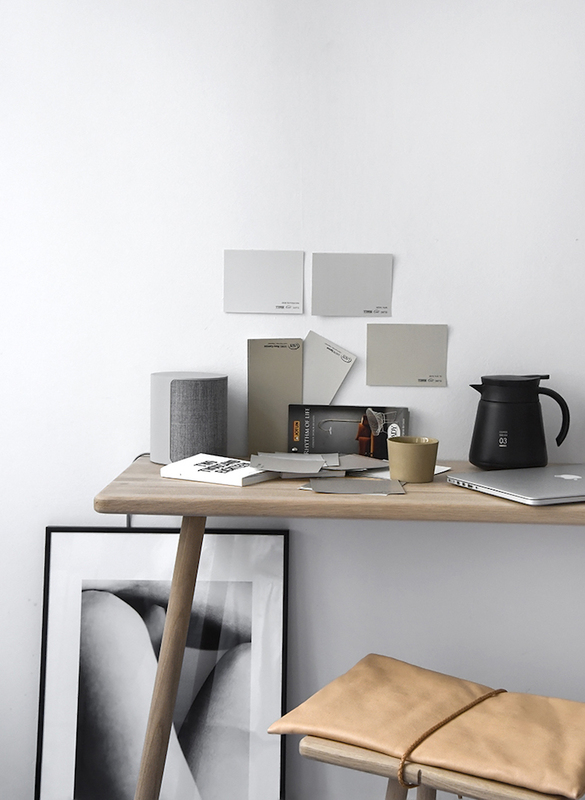 The apartment has such a soothing feel to it, don't you think? 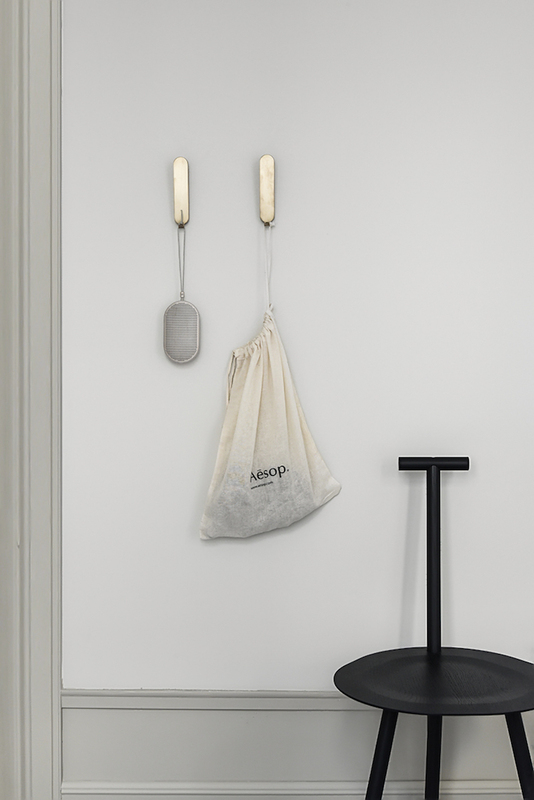 I love the space-saving fold-away chair in the hall - so handy for tight spots. The closest I've found is by Henrybuilt - any tips where this one's from? Have a lovely day and stay warm friends! Is Embroidery the New Avocado Toast?! In my Lagom book I talk about the importance of swapping screen time for analogue activities such as reading, writing a diary and handiwork before bedtime in order to feel more relaxed, doze off quicker and enjoy an improved quality of sleep. So you can imagine how excited I was to see embroidery popping up more in the social media sphere! Pinterest, Instagram (6 million hits! ), blogs, DIY magazines, you name it. 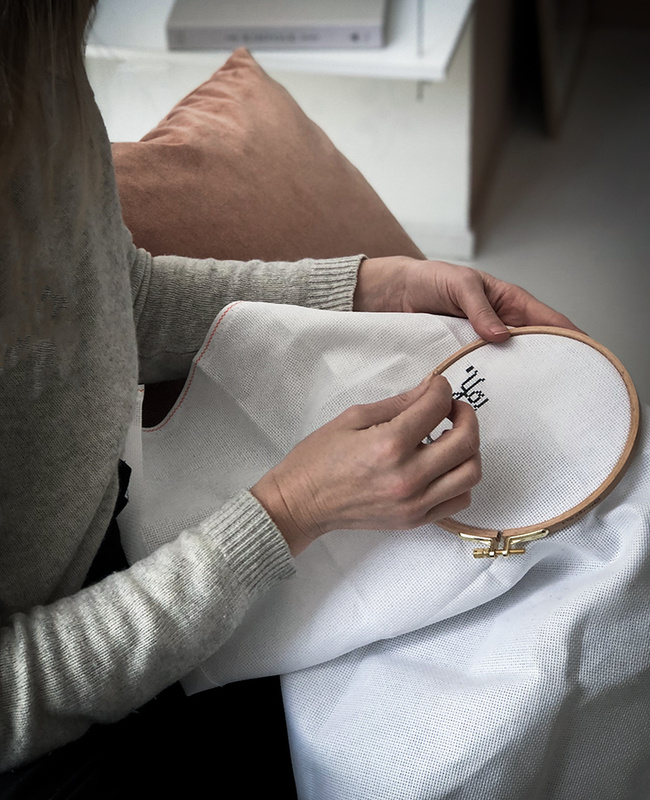 For those of you shuddering as you cast your mind back to a cold classroom with pricked fingers - fear not, we're talking embroidery with a modern twist and a Swedish start-up has you covered! 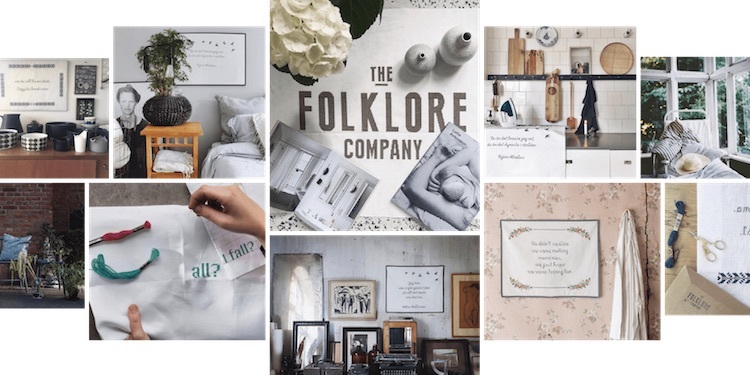 Founded by Sofia Magnusson, The Folklore Company combines the digital world with old school cross stitch embroidery, meaning that anyone who hasn't done a cross-stitch since primary school can still enjoy the mindful activity and create something wall-worthy too! How fab is that?! 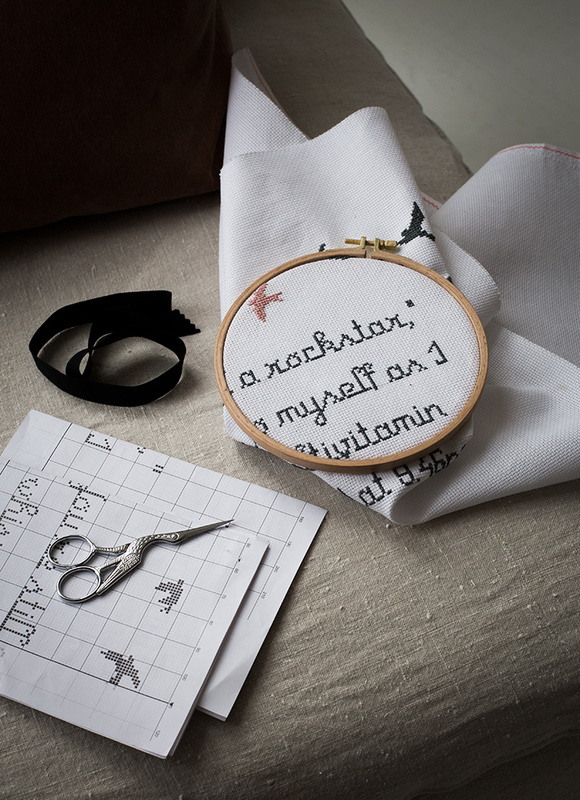 When Marielle at The Folklore Company first approached me I was quick to notice you can buy ready made embroidery patterns too - the 'busy' person in me was incredibly tempted! But then I realised I'd be missing out on the whole relaxation side plus I'd never find out if embroidery truly was the new avocado toast! I fired off a mail with my concerns and was assured: "it’s really not hard to embroider your own, it’s a little time consuming but a very soothing activity, which is made even more cozy with a cup of tea." 1. Selecting the pattern. The Design Editor offers a large variety of patterns ranging from more traditional flowers and lace to swallows, hearts and even unicorns! I went for the The Malta pattern - which is one of their best sellers since it's a relative simple pattern (best not to run before I crawl!). 2. Selecting the colour: I opted for the pewter grey thread, which I'm really pleased with. On the home run I exchanged one of the birds for a pink thread which I found at home. I think it added a nice little twist do you?! 3. Adding your text, favourite quote or poem: (remember the longer it is the more hours it will take, but then again, the task is not meant to be rushed and March is one looong month!). 4. Choosing the text style: I chose the Primus Script as I kind of wanted the juxtaposition of the modern quote with the traditional lettering. 5. Ordering the kit: The embroidery kit contains everything you need to get started right away including a needle, fabric, yarn and pattern but I kind of got carried away and ordered the pretty peacock scissors (was tempted with the Eiffel tower ones too), a wooden embroidery hoop, and a thimble! 6. The process: I was so grateful for the very straight forward instructions and the embroidery was truly therapeutic (it's a perfect activity for a long journey, wiling away a few hours at the weekend or simply kicking back in the evenings!). Once finished I placed the fabric in a black frame and hung it on my bedroom wall! I have to say, I'm so happy with the result! 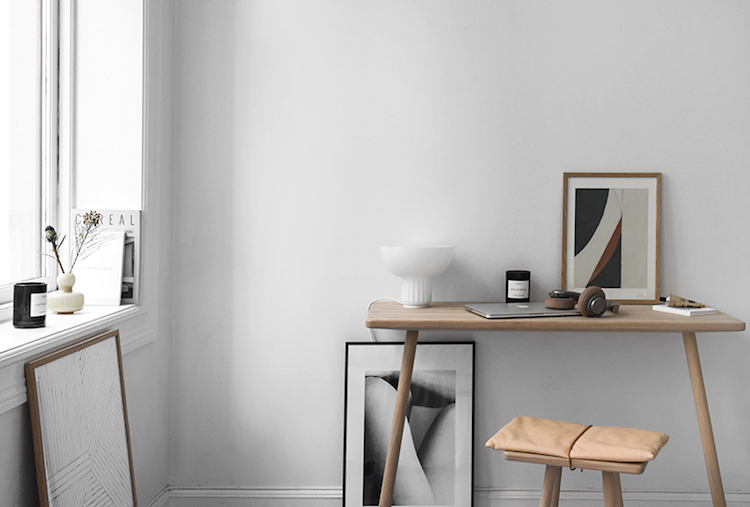 - and the fab team are offering you 15% discount with the code: 15%SCANDINAVIAN up until 31st March. You The Folklore Team girls rock! Don't forget to share a picture of your masterpiece using the hashtag #folklorecompany, we'd love to see it! Thank you to the fab girls at The Folklore Company for setting me on the embroidery path and sponsoring this post - I'm already wondering what pattern to create next. Something for my daughter's room perhaps?! Watch this space! Photography credits: 1 (montage) & 2 courtesy of The Folklore Company / 3, 4 & 5: Niki Brantmark - My Scandinavian Home. Gooood morgon! I've been busy planning a surprise birthday present for my husband but it looks like the plan may have been foiled - guh! 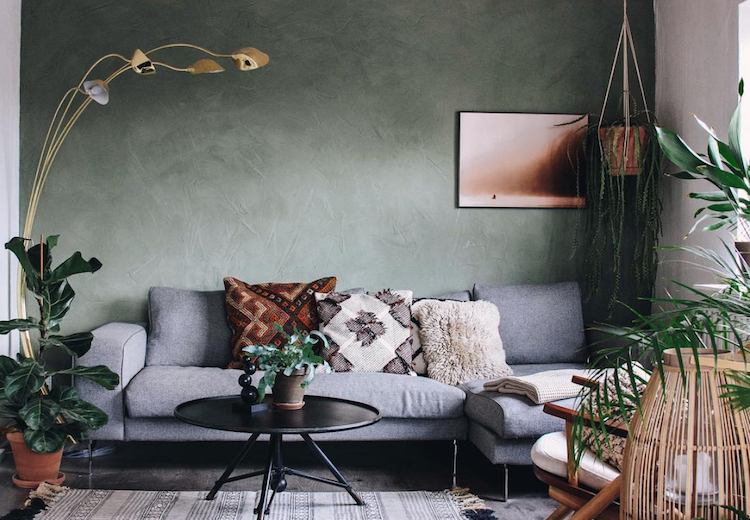 All the same, I'm super excited as we'll be kicking back at one of Sweden's 20 instagrammable places to stay (can you guess which one - which one would you pick?!). 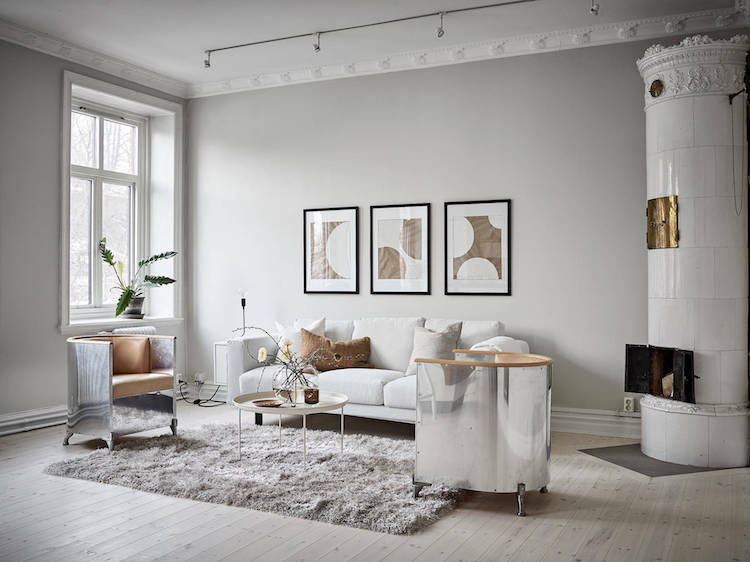 In the meantime I'll hopefully be be fueling our passion for interiors with this lovely apartment in Gothenburg, Sweden. There's something about the combination of pink, dark green, dark brown and black which I absolutely love, how about you?! Oh yes, and the apartment is for sale too. Bjurfors, if we buy it can we keep the furniture and accessories too please?! Could you imagine living here if this was the case? PS Find out what the 'new avocado toast' is later today (hint: it's not what you think!). Hello! Hur går det?! It's great to be back after a week in the mountains. I'm feeling all revived, the sun's shining and I'm ready to roll! I hope you feel the same this bright and sunny Monday?! 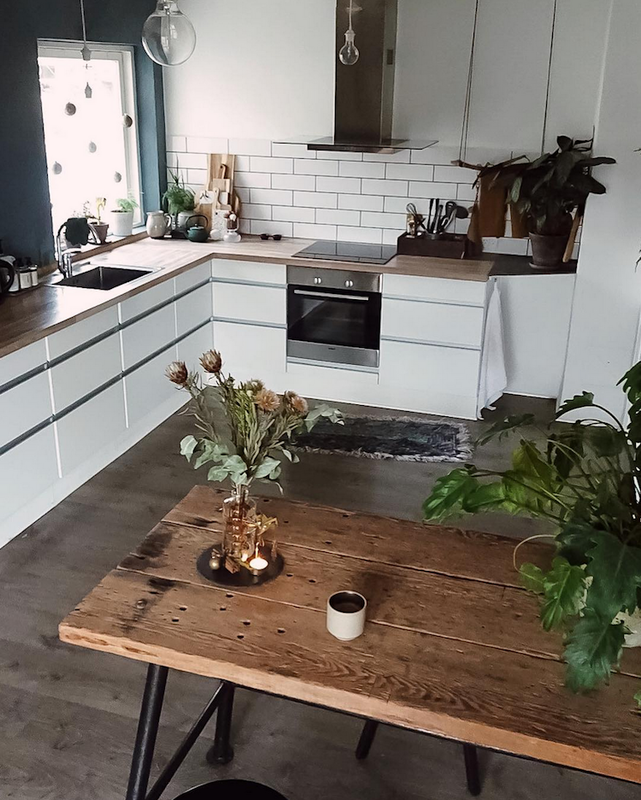 I thought I'd kick off the week with a tour of the charming home of Fie Frøling, finalist of the 'Danish Instagram of the Year' (and for very good reason!). 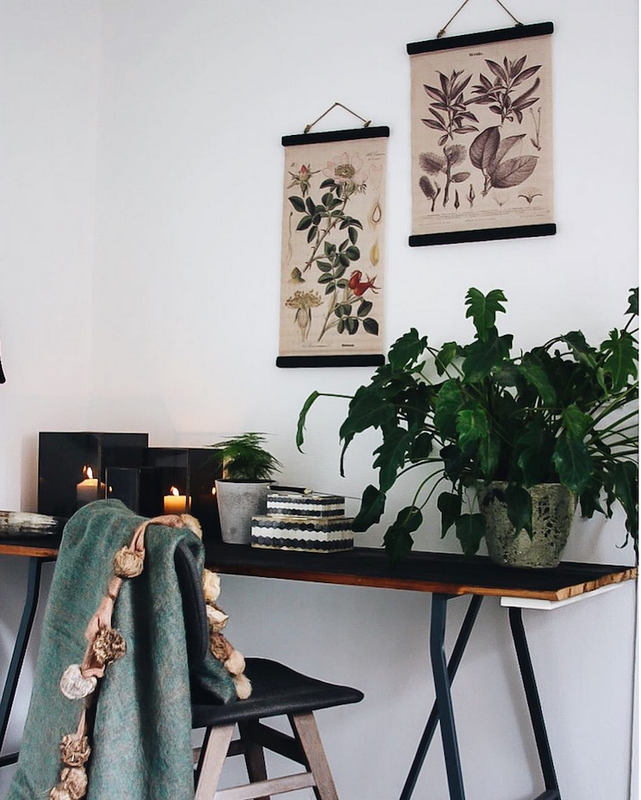 Fie's home is packed with second hand finds, DIY items and an abundance of greenery. I caught up with her to find out a little more. Enjoy the tour! My home is in Næstved, Denmark and I have lived here with my boyfriend and our two dogs since 2014. I actually grew up in this house with my parents and sister. We're still in the process of renovating it. 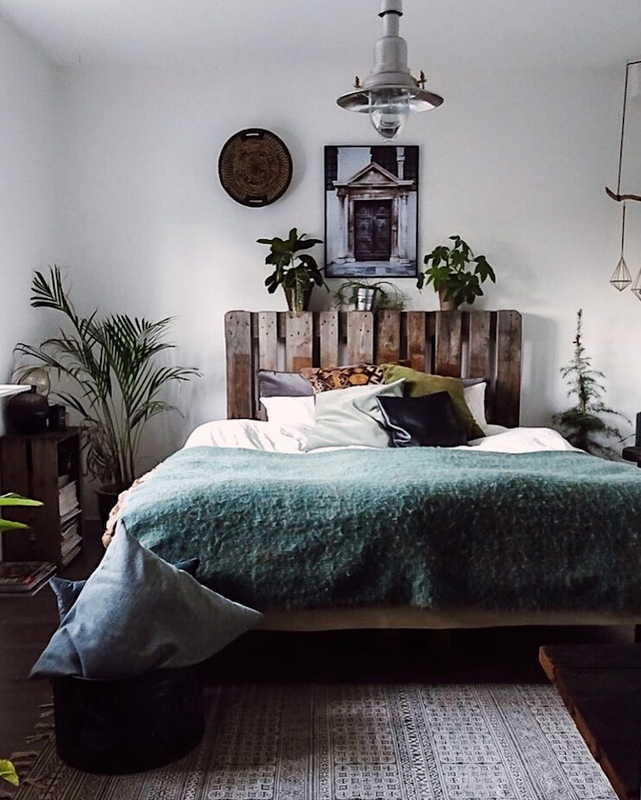 I would describe my style as mix and match with an ethnic, boho vibe and a hint of industrial. 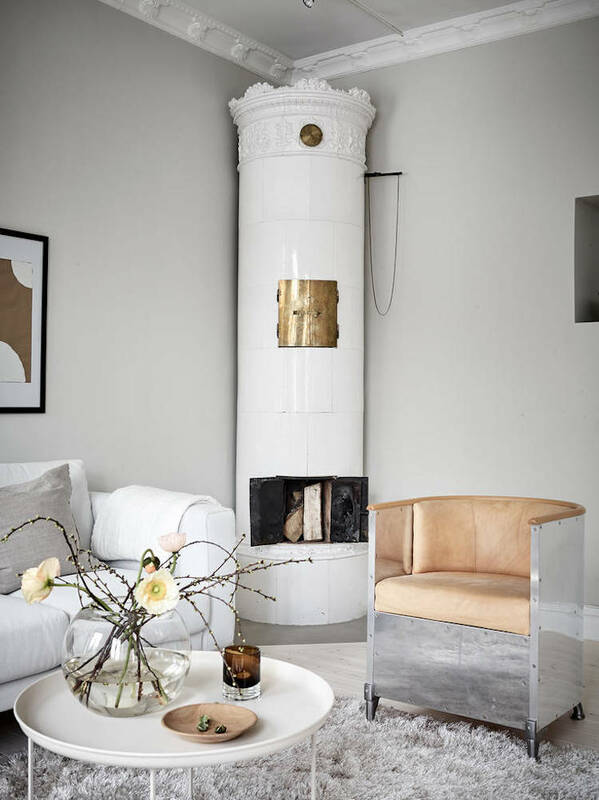 I love it when warm tones meet black steel and like to play around with feminine and masculine decor. 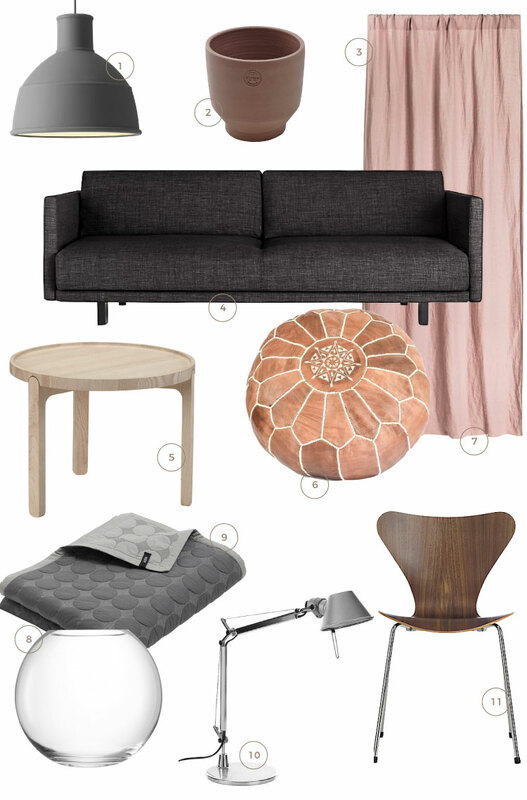 Get the look: Brok side table, source kilim cushions here, man in canoe print, Nordal rug (I have a similar one in my sitting room!). I love to buy my decor at different places. 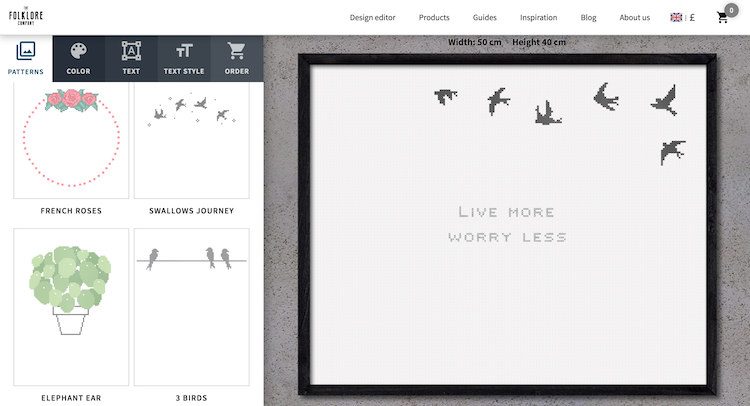 I have a serious soft spot for Swedish secondhand shops and the Danish website DBA. You can find some great stuff there. Our entire kitchen was bought from DBA. Otherwise I love to shop at unoliving.dk, Casanordic.dk, semibasic.dk, Ilva and Broste. They have amazing pieces at good prices. 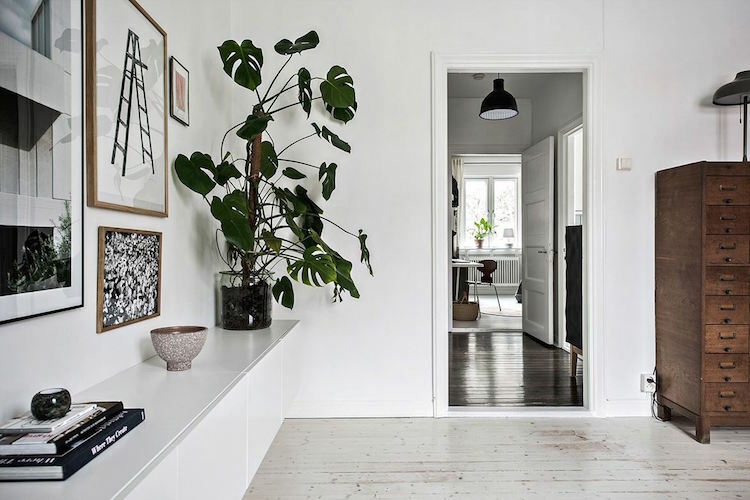 It's nice to see so many plants in your home! I have a huge love for plants. I can't go an entire month without buying a new green baby! They give such a cool effect against the black and warm colours. But also, I feel like they bring my home to life because you can watch them grow. 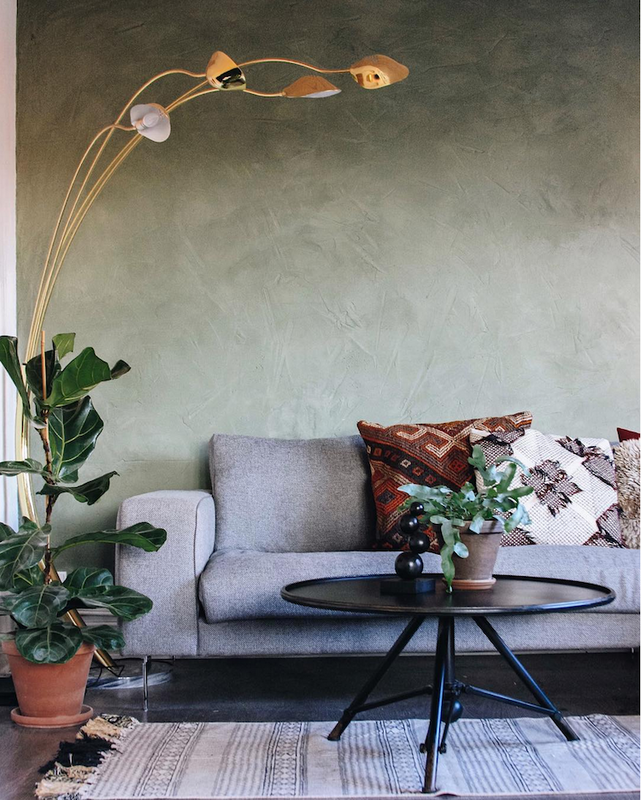 Denmark isn't the most sunny and bright country but because of all my green plants I feel like it's never dark, they remind me of summer and rainforests. I am fascinated by your bed headboard, can you tell us more about it?! I made our headboard three years ago. We needed a new headboard but I couldn't find one I liked. I saw these pallets by our local train station which had been thrown out and had been lying there for some time and had turned grey and rusty. I was given permission to take them and then I screwed them to our bed frame. Et voilà! A headboard emerged! Thank you so much for the tour of your lovely home Fie! 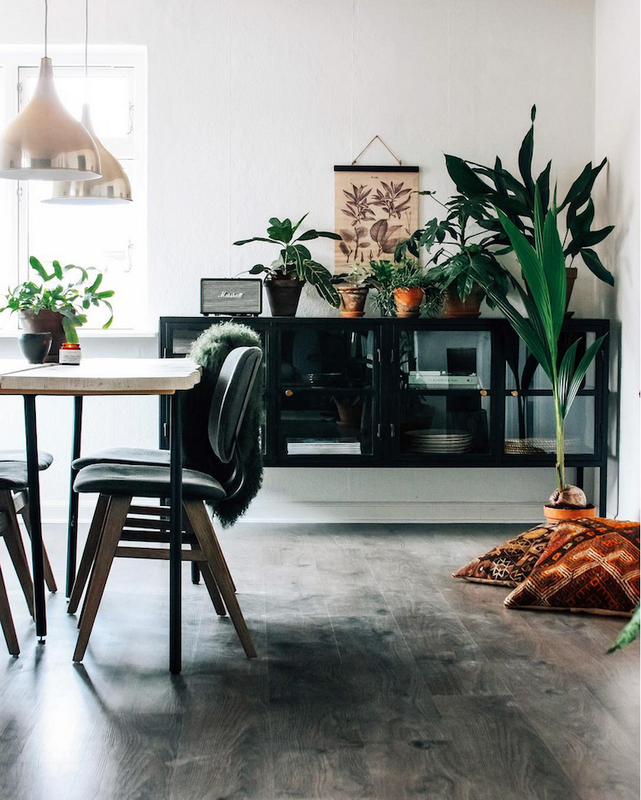 What a great tour - I specially loved the the rustic pieces and plants (you know, I still can't stop thinking about that urban jungle home a few weeks back, how about you?!). It's amazing what you can find at flea markets. Is there anything you loved in particular about Fie's home? 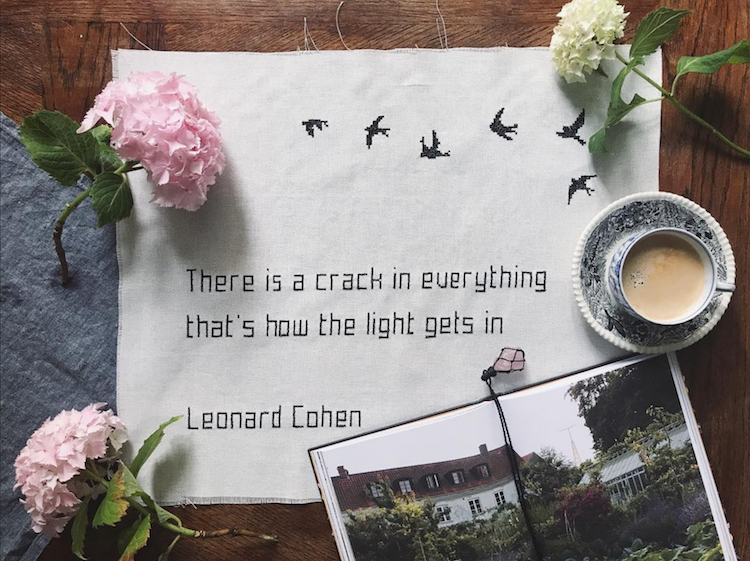 If you'd like to see more of Fie's home there are tonnes of lovely snapshots on her instagram feed @woodlandwhim. 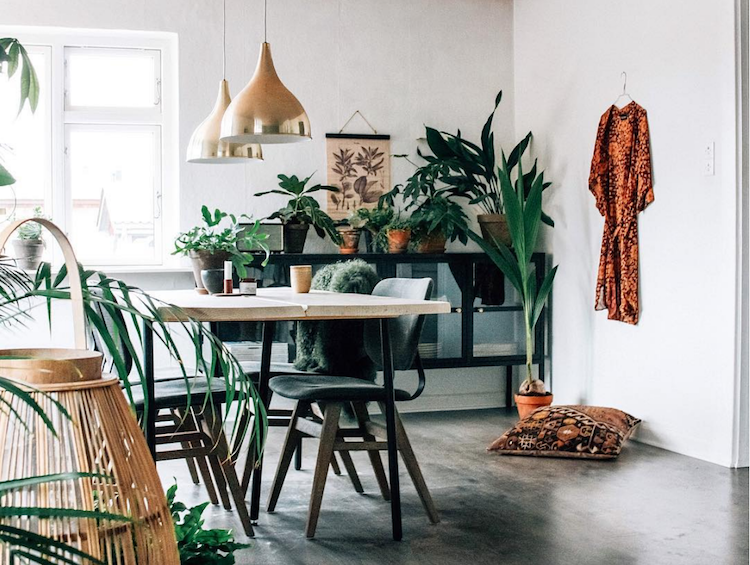 And for more homes with a boho vibe why not check out this archive (oh and I LOVE the Danish home archive too - a real favourite!). My Bedroom / Mini Break! Hejsan! I'm just stopping by to say that it's sportslov (half term) this week in Southern Sweden and my family and I are taking a little holiday. I hope you have a wonderful week too! PS I snapped this of my bedroom just before we left - if you're wondering where anything is from you can find all the details in this and this post. Or just leave a comment and I'll respond as soon as I get back. 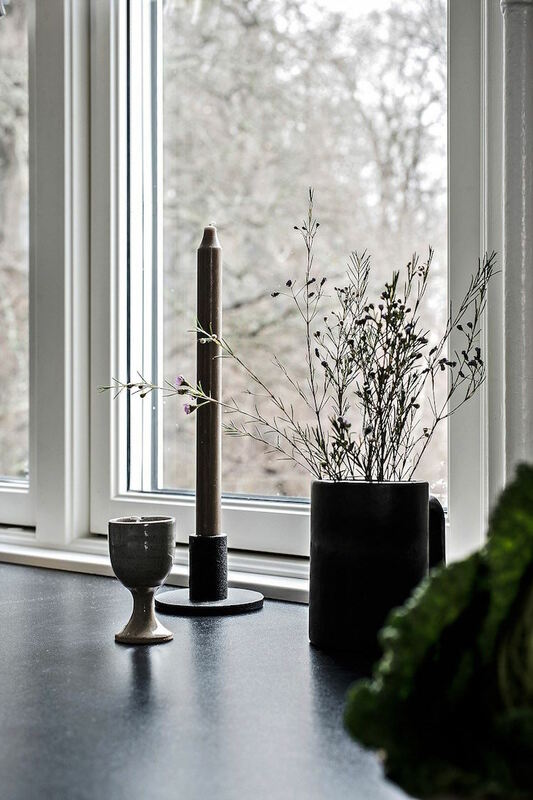 Welcome to the second post in the before and after mini make-over series in association with Builders Bay (a builder's little black book for all things needed to renovate your home). In the first we looked at the fabulous transformation of a Miami penthouse (I'm still dreaming, are you?!). 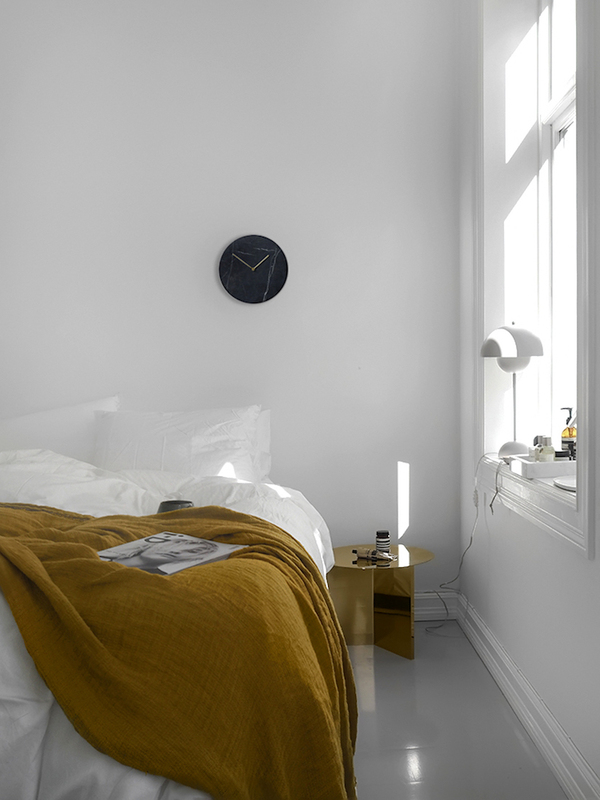 But of course not all renovations need to be on this scale, sometimes you simply want to pep up a room without investing too much time and money, right? 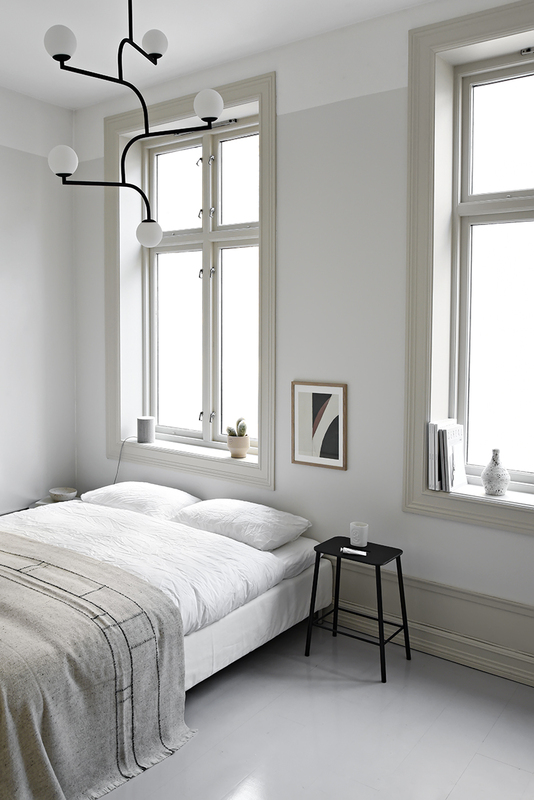 So today, I thought we'd go a little closer to home: and take a look at the beautiful bedroom of blogger, photographer and visual storyteller Katerina Dima in Oslo, Norway. Katerina was looking to add warmth to a fresh white room and allow the history of the 1850 building to sing - all on a shoe string budget. I caught up with her to get the low down! Me (Katerina Dima), my husband and our cat Milo (who is largely undocumented on my social media because she sleeps and rests in the most ridiculous and unflattering positions. If I was running a comedy instagram account I think she would be a total hit. Sounds to me like he could be a #CatsofInstagram star?! 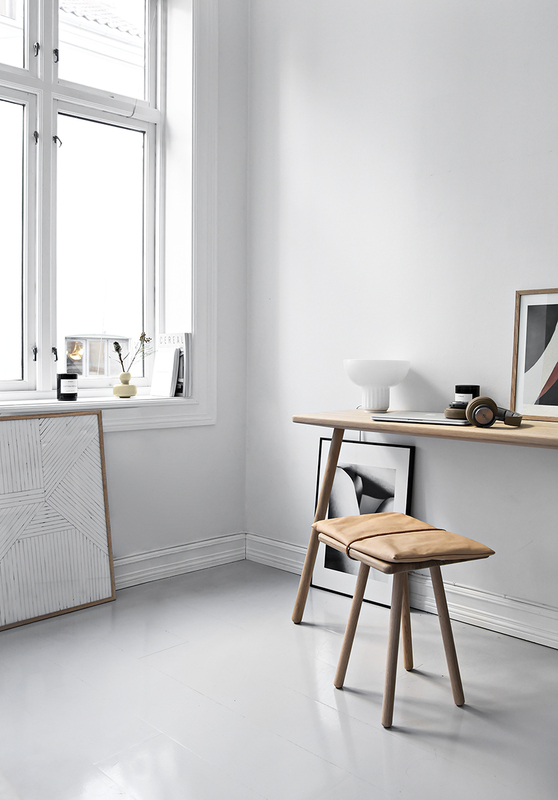 The interiors you show in your blog are simply stunning, do you work in the world of interior design? 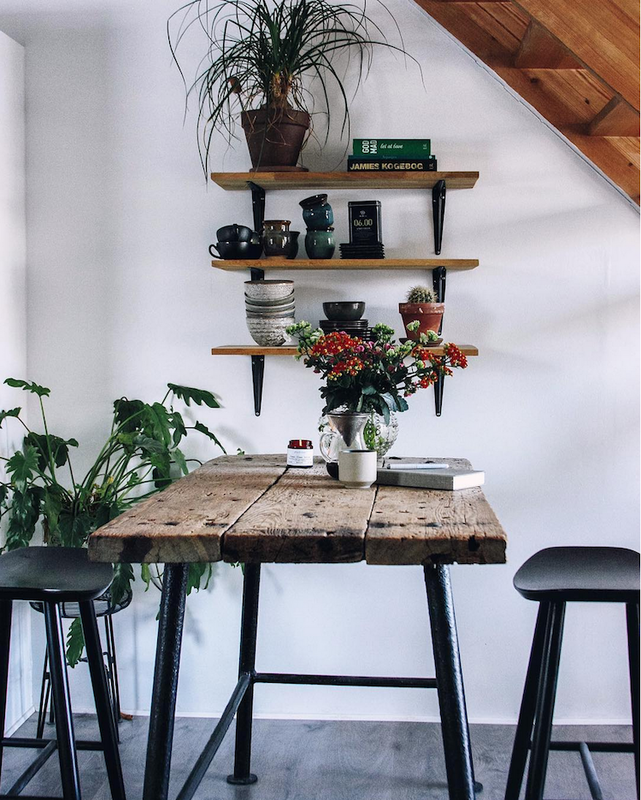 I am a trained architect with a masters in renovation and restoration, although now I work full time as a freelance photographer / visual storyteller for brands in association with my blog Only Deco Love and instagram. 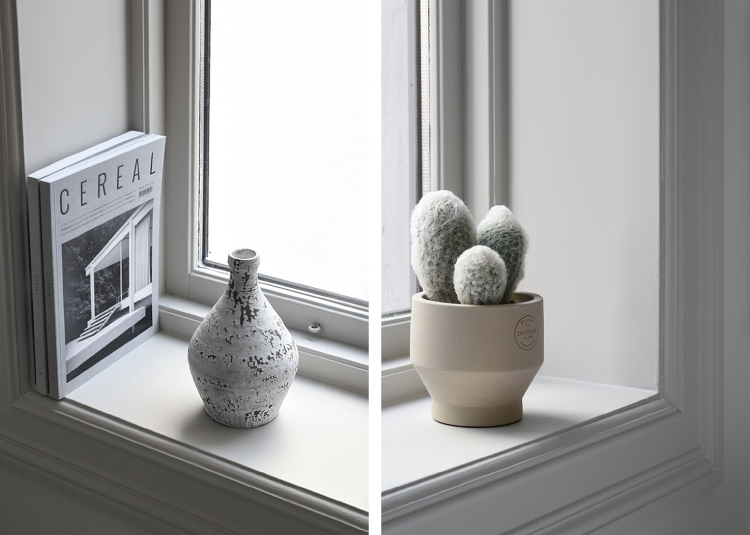 Ah, what great skills - do you find that you're constantly updating your home as a result? We are renting but have carte blanche on any renovations. This was the reason I was allowed to completely change the look of the bedroom and skirting boards plus paint the windows. I see you have great bones to work with? If I am not mistaken, the building was built around 1850. 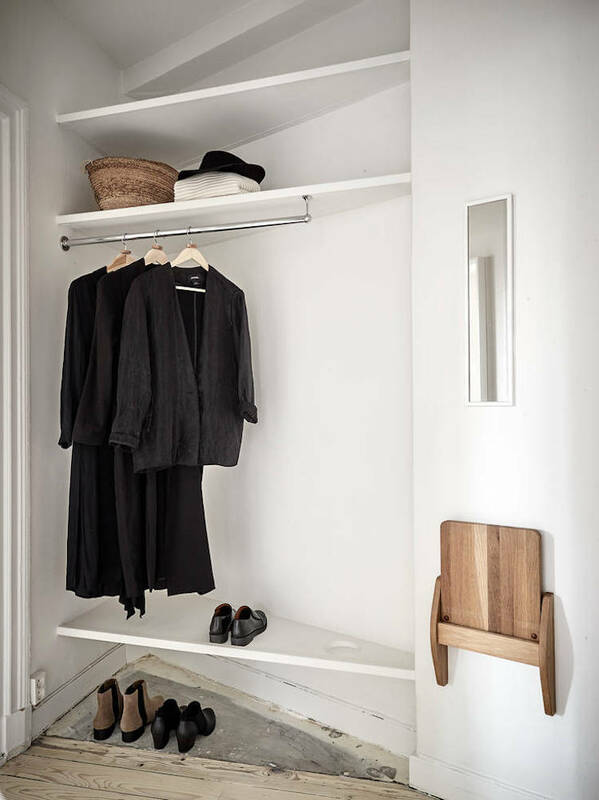 It's a really funny story, one of the most convenient things is a small and remarkably beautiful storage room right by our stairs (our apartment is the only one on the floor), and I thought, I was really lucky to have it. It turns out that in the 19th century these buildings had no toilet (our floor was made up of many smaller apartments) and the 'storage under the stairs' was the common bathroom. There's no evidence now this was a bathroom but I have the most elegant storage ever - I really shoot in it but it is super cold! 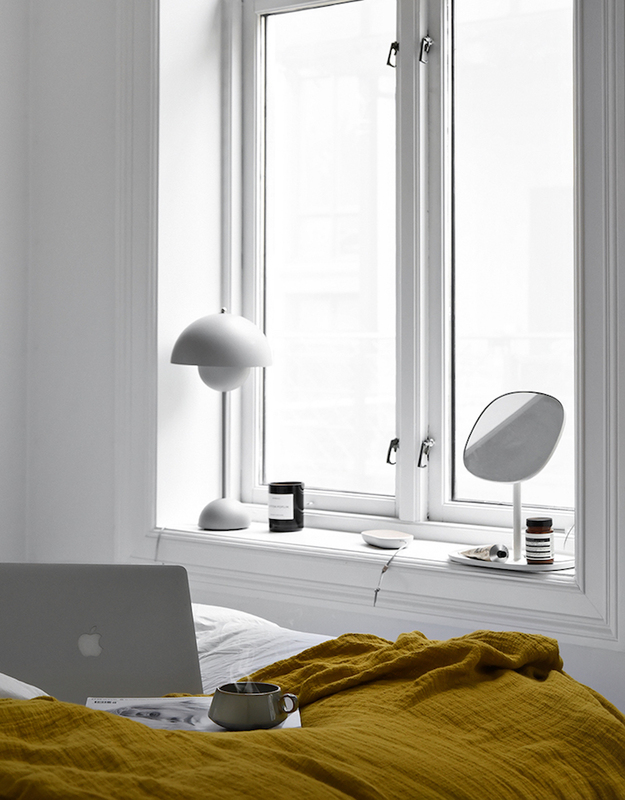 What were you looking to achieve with your bedroom renovation? When we moved in, the owner had painted the entire apartment white. 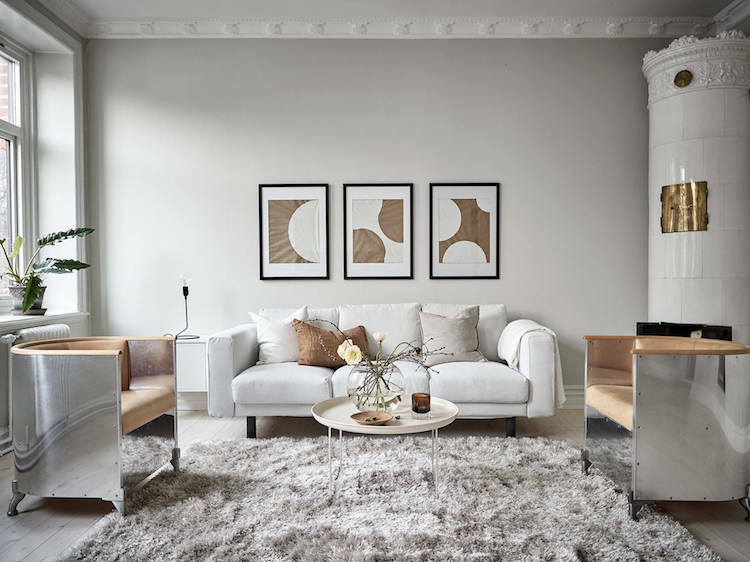 It is a beautiful old apartment with ceiling rosettes, very high ceilings, big windows and original floors that were painted grey - and I guess white made perfect sense as a neutral palette. 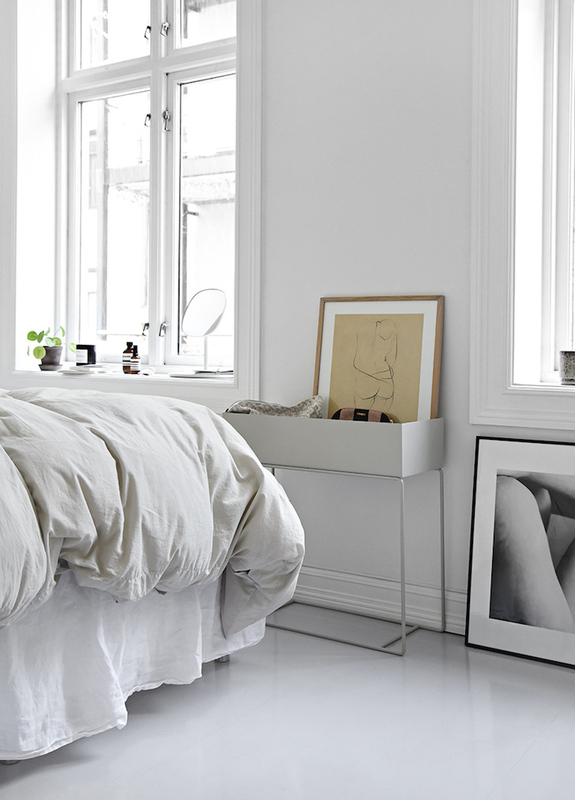 However, no matter how I tried to style the bedroom specifically, it always felt unfinished. Really tall ceilings can have that effect. 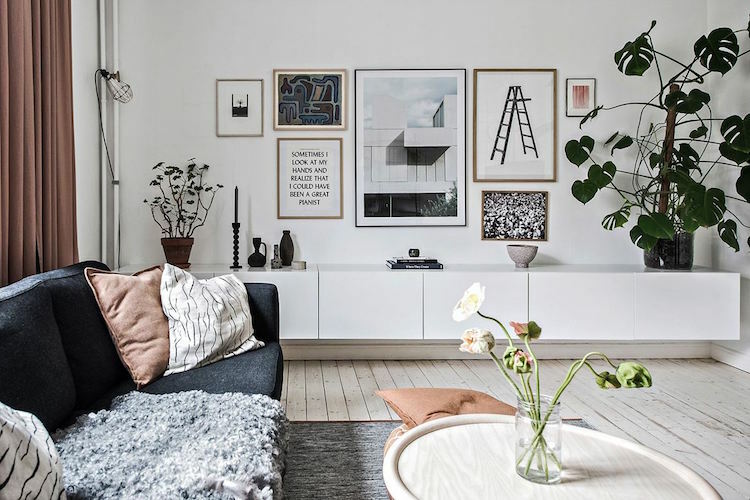 I didn't want to overwhelm it with furniture and decorations in order to impart some life into it, I prefer my living space minimal and clean, yet welcoming and warm. The solutions was to create layers with paint and skirting boards. 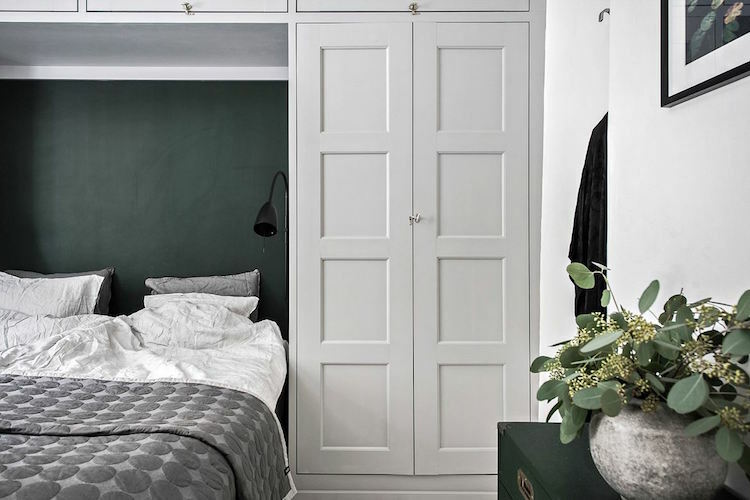 How did you envisage the paint to make a difference to the space? 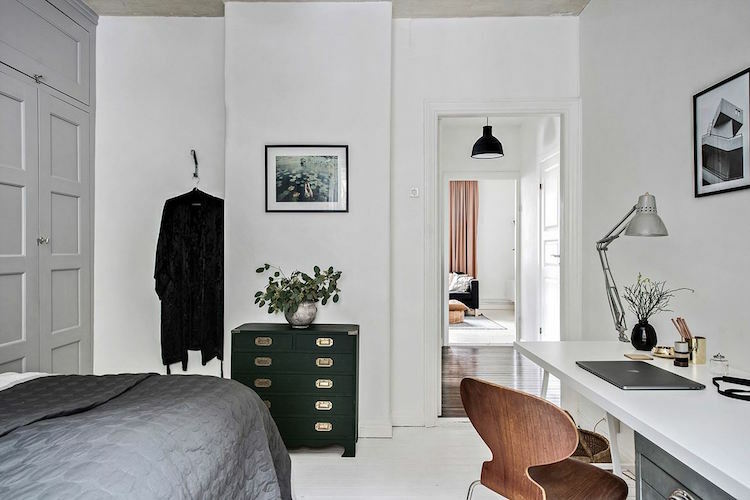 The layers of paint would provide interesting transitions that would fit the old apartment and define the space between the floors and ceiling, but without making it too heavy. How did you choose the colour? 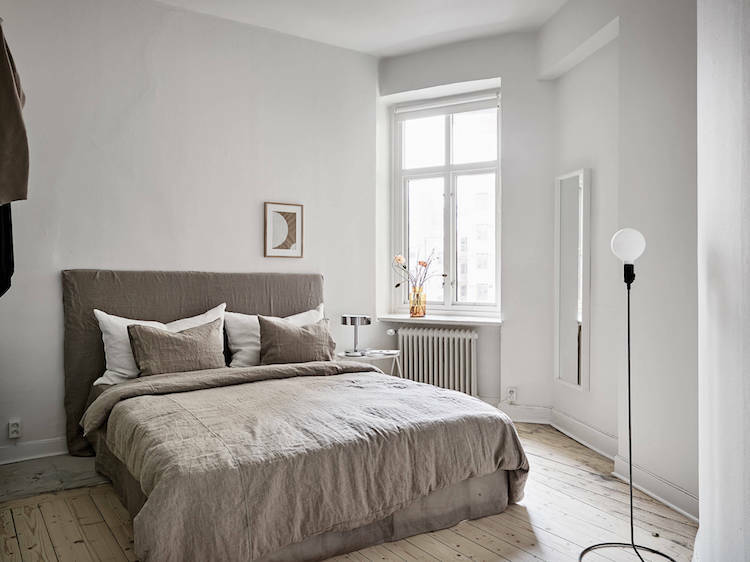 I knew I needed to offset the grey-blue floors with beige, this way the resulting tone would be warm (blue hues give cooler results and I'm not a fan of cold hues in the bedroom). I am a big fan of the Jotun Lady beige palette, especially the darker colours. 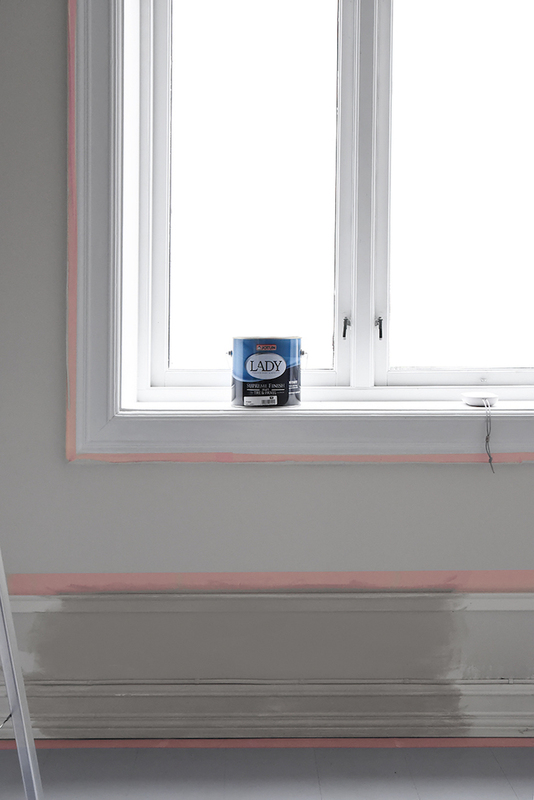 What other renovations did you need to carry out to create your vision? 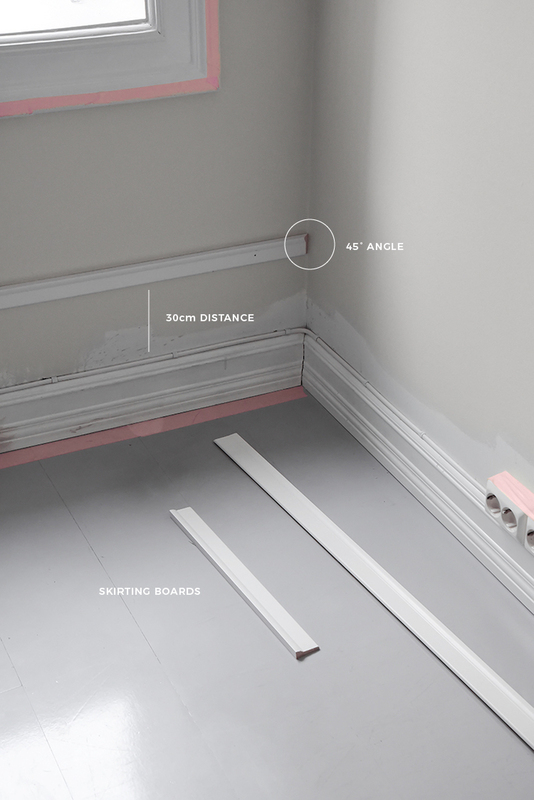 I installed new skirting boards. Did you have any challenges with these? I knew I would have to do everything on my own (with my husbands help), or else it would be too expensive, and our budget was in fact our biggest challenge. Buying the big pieces for the new skirting boards/panels I needed was not an option after all due to the enormous price, so instead we opted for DIY. 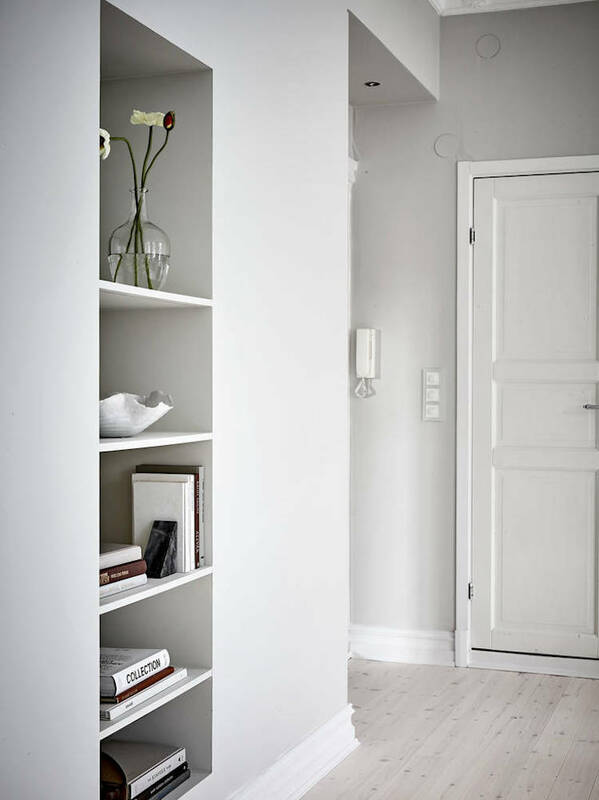 In Oslo we don't have the equipment to create our own panels (another obstacle), and this is where the idea came to me to buy simple small and relatively cheap skirting boards, and create the panels I wanted by means of an illusion. I added the small boards 30cm above the previous one, nailed them to the wall and painted the old skirting boards on the floor the new board and the wall in between the same color . This creates the illusion of a single but quite bigger panel which gives the room an added desired layer while it brings a palatial feel, exactly the result I wanted! And honestly you can barely tell even when looking at it up and close. We painted 5 times over and over again so the wall looked exactly like the wooden boards, and that was the only difficulty. We used a saw to cut the boards in the length we needed and a plastic guide that we found in the same hardware store in order to cut the corners of the boards in a 45 degree angle. 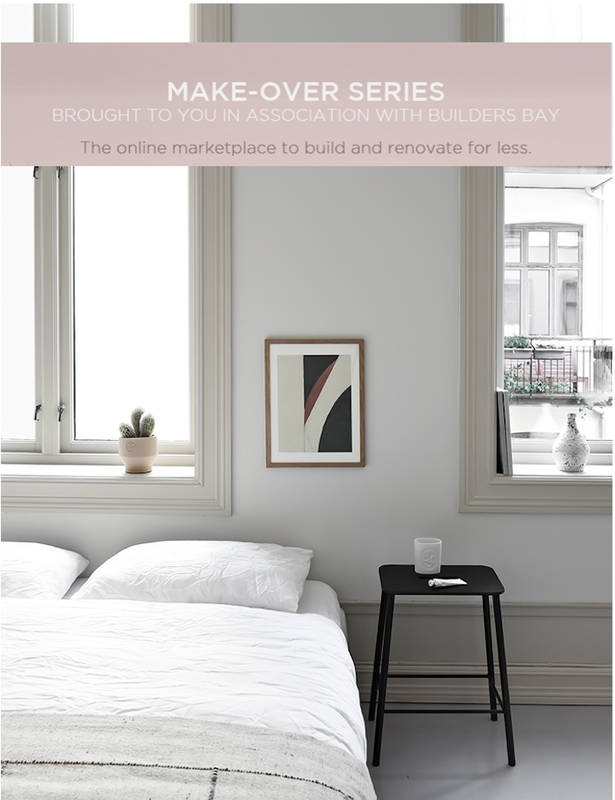 FYI - you can source different size skirting boards on Builders Bay here. It looks beautiful! So calm! What colours did you use? I painted the skirting boards and the windows the same colour (Space 10678 from Jotun Lady in Supreme Finish Matt for wood panels) to give a sense of community, but also because darker windows appeal a lot to me lately. 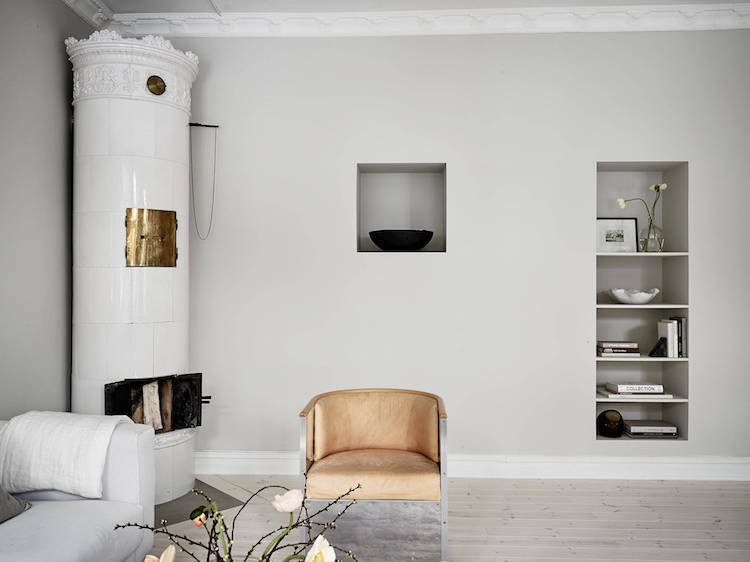 I painted the walls in a light beige / grey colour (Sommersne 1928 Jotun lady, super mat). The colour is described as not quite grey, it was exactly what i was looking for. 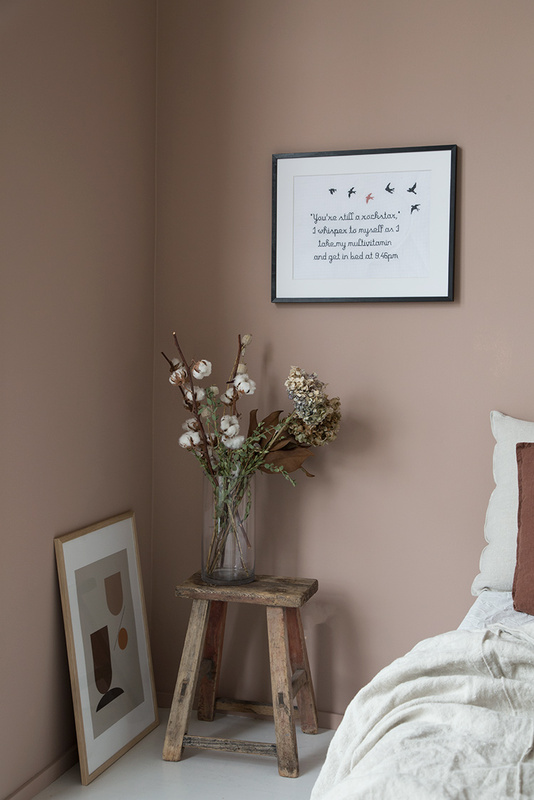 I debated whether to paint the whole space the same colour along with windows and skirting boards but decided against it. I wanted to add layers and introduce interesting transitions. This is also why I didn't paint the wall all the way up to the ceiling, leaving a ribbon on the top in the previous color that matched the ceiling (white). 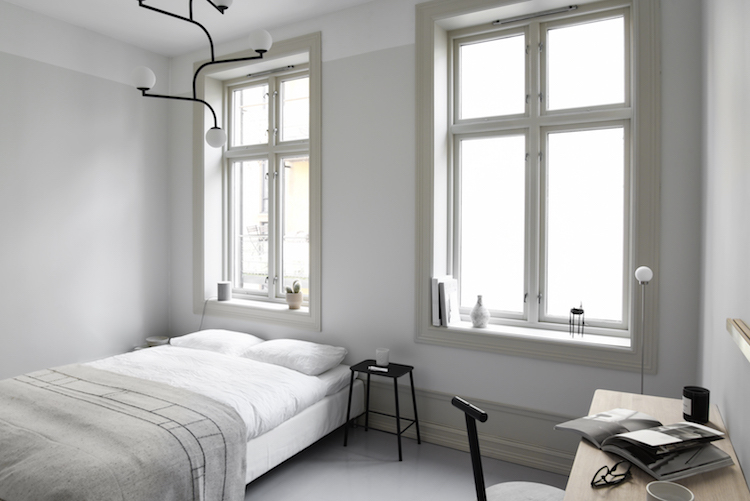 I love the effect of not painting the walls all the way up to the ceiling, can you tell us more? Because the ceilings are so high I wanted to create layers so there would be interesting transitions making the room feel warmer. I decided to create a bottom layer with the panels/skirting boards, a middle layer with the wall painted in a different colour, and finally an upper layer that stayed the same colour as the ceiling. 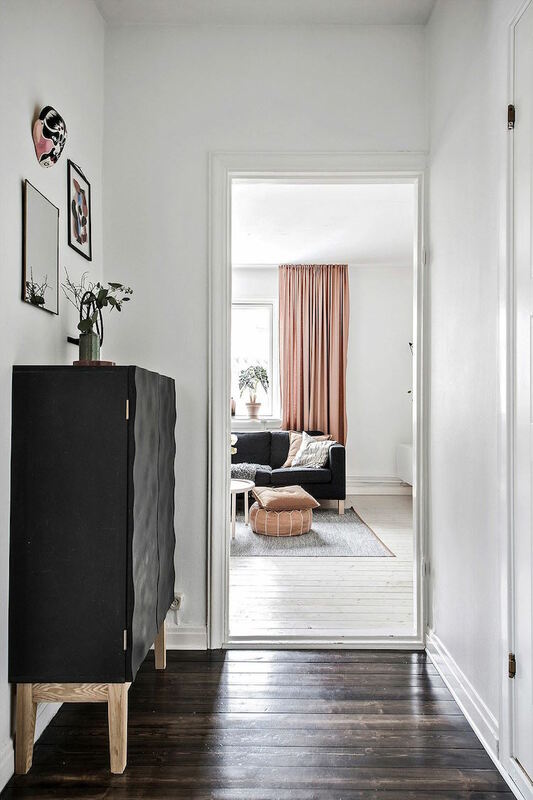 This way there would be a natural transition from the white ceiling to the wall as there is no decorative ribbon, making the design feel deliberate rather than incidental. The whole room took us two days from start to finish after we had decided on the plan ( the boards took us about two hours to cut and nail to the wall, then filled any holes with a special white glue that gives a smooth finish ), and this was mostly waiting for the paint to dry. The costs were very minimal, and I feel if we did it, anyone can! How would you describe the final look? 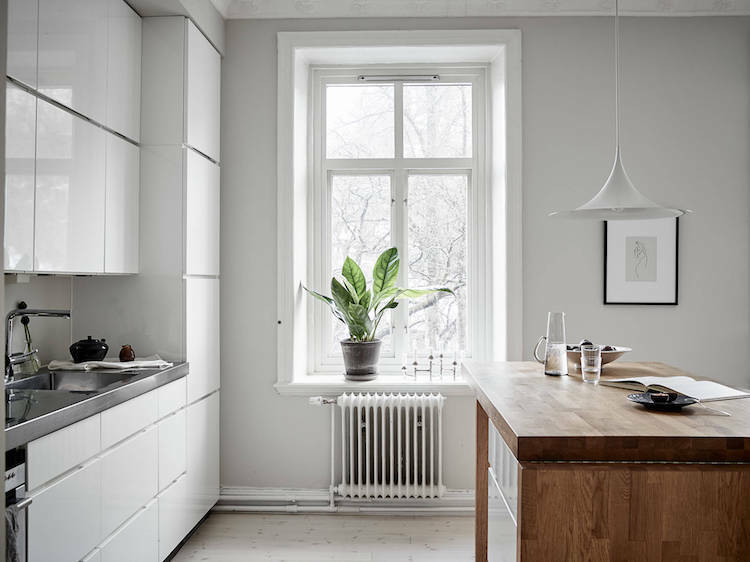 The style is very minimal and combines early century with contemporary Scandinavian accents. The building was built in the Neo classic era with modernist yet romanticism architectural influences, I wanted to keep the feel of it but also bring it into this century. I think the colours helped me achieve that, but also the details I chose to use in the form of art and furnishings. And finally, do you have any tips for anyone looking to do the same? What a beautiful space. 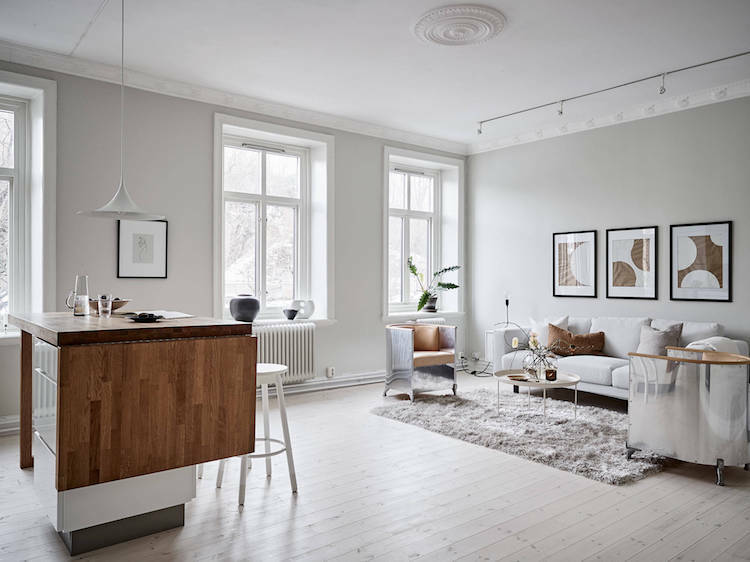 I love how the clean, calm look allows the period features of the building to stand out, how about you? Thank you so much for sharing your renovation with us Katerina! 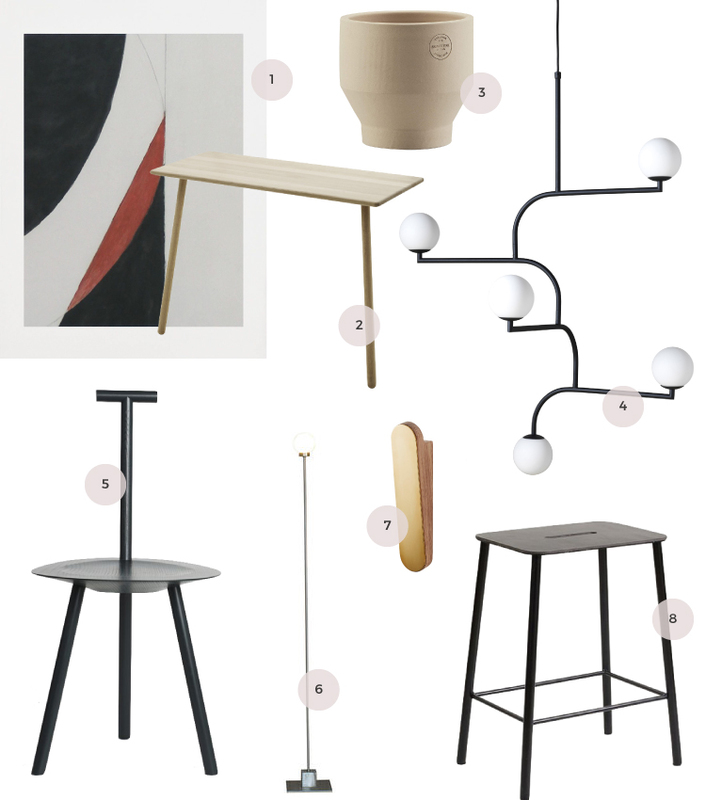 You can follow all of Katerina's latest projects over on her beautiful blog Only Deco Love and instagram. CREDITS: Photography and Styling: Katerina Dima / Only Deco Love.